Altamira has received a a Certification Support Award from the National Contract Management Association in recognition of the company’s efforts to support its employees in acquiring NCMA certifications. NCMA presented the award in Chicago during the World Congress 2017, the company announced Tuesday. “Our commitment to supporting the educational advancement of procurement and acquisition professionals extends beyond our own contracts team to include work supporting others in the industry as they pursue professional certification,” said Jeremy Koczan, chief financial officer at Altamira. The company noted it employs a partnership and incentive program that includes expense reimbursements, time allotment, education and peer learning opportunities as well as financial rewards with the goal of empowering personnel to pursue certification. It added that 67 percent of all eligible employees in the contracts department have NCMA certifications. 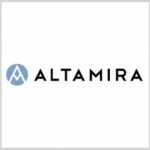 Altamira is a provider of intelligence services in efforts to help strengthen homeland security and defense.